Exclusive patented ANKLE LOK offset panel locks the laces between the inner and outer flap to hold the laces tighter and longer than any other brace. Effective heel lock system, full elastic back ensures complete unrestricted blood flow to the Achilles tendon and virtually eliminates the chance for blistering. 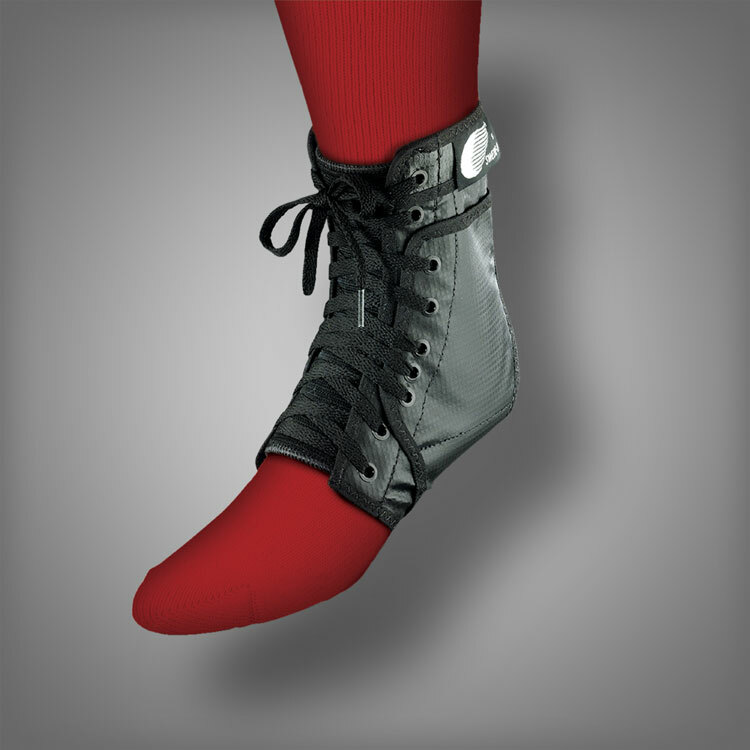 The Internal U-shaped spiral stays provide extra support and further minimizes the chance of ankle injury. This is recommended for ankle sprains, strains and arthritis.